There comes an age where your child is going to have to be at home on their own. Maybe it’s just for 20 minutes while you run to the store, or maybe it’s for a couple of hours after they finish school before you’re home from work. Here are a few ways that you can reassure yourself and them that they’re safe. Before the first time you leave them alone, sit down and talk to them about the responsibility it entails. Remind them that they’re given the privilege because you think they’re mature enough to cope. Ensure they understand the correct procedures for emergencies, and know how to contact anyone who can help. Reiterate that any house rules you might have still stand. Most of all, reassure them of their safety. A smart phone security app such as the one that Protect America produce allows you to check the security of your home remotely. While this would be useful in everyday situations anyway, it’s especially useful when it can reassure you that your child is safe. Combined with security cameras, you can see anything you need to from your smart phone. Kids lose things, that’s just one of those things. When that’s their house key, though, it can cause a few problems. 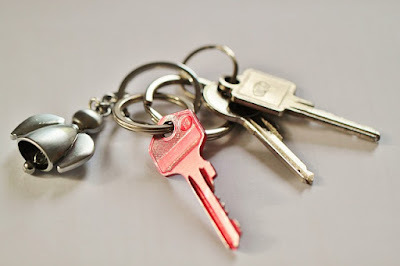 Ensure there is a spare house key available with a trusted neighbor nearby. You could also try a lock box on the property for which only you know the code. That means that your child will have to contact you by phone to get the key, which avoids the problem of saving the lock code in their phones. Not only is it useful to have cameras on the doors, but you may also feel reassured to use cameras inside the home. If you can stream the camera to your mobile device then you can relax to know that your child is safely at home, getting on with their homework. Maybe the most worrying thing for a parent is the idea of someone coming to the door to speak to your child. Spend some time explaining safety procedures in these situations. Ensure they know not to answer the door to a stranger, and to keep all doors locked at all times. If they accidentally open the door to a stranger, remind them never to tell anyone they’re home alone. They can tell strangers that their parents are in the bath, or having a nap, but never that there is nobody in. You can always install a doorbell app that allows you to answer the door from your smartphone, and lets callers think that you’re home. There is no reason that your child should be in any danger when they’re at home on their own, as long as you follow these precautions. Most of all, just always ensure you check in with them, and that they know they can contact you if anything concerns them.